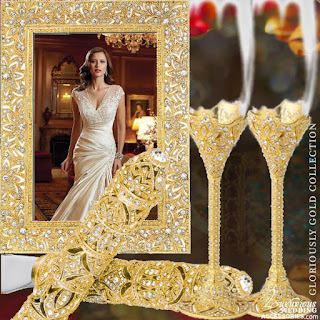 from Luxurious Wedding Accessories comes in a choice of Gold, Silver or Black Diamond. Decorate your place setting with a set of 8 Cocktail Glasses featuring a hand wrapped band of sparkling Swarovski Crystals. 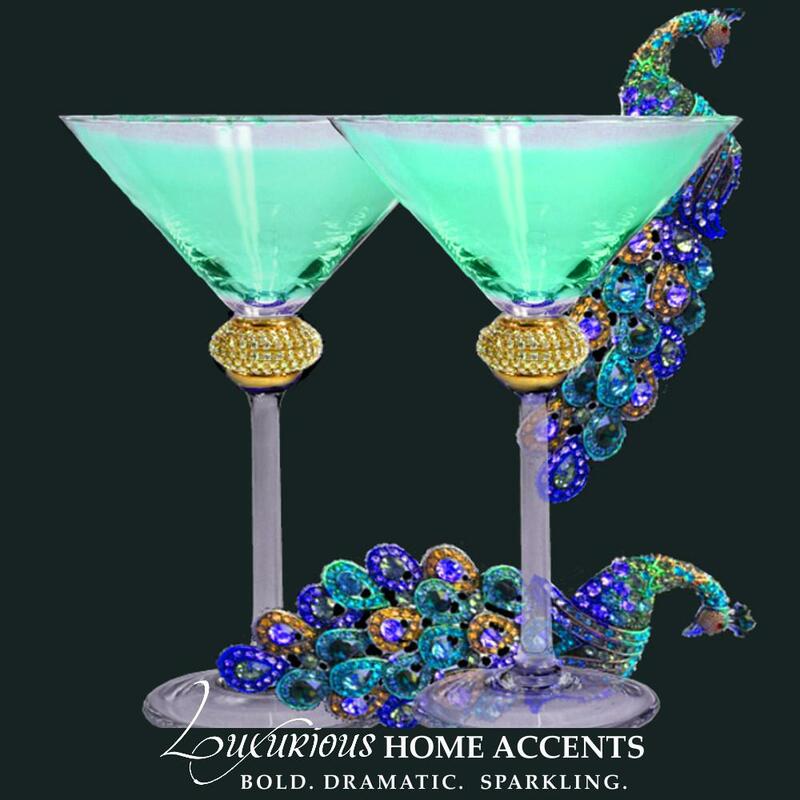 The Collection includes 2 Champagne Flutes, 2 Red Wine Glasses, 2 Martini Glasses and 2 White Wine or Water Glasses. On this day you should be seen toasting and enjoying your beverages in style. The Glitterati Swarovski Crystal Wedding Cocktail Collection can be expanded to include additional pieces.